good morning, another windy and miserable day here in the shire! the children have been busy bickering all weekend, and I am more than a little thankful they are both off to school and nursery tomorrow! 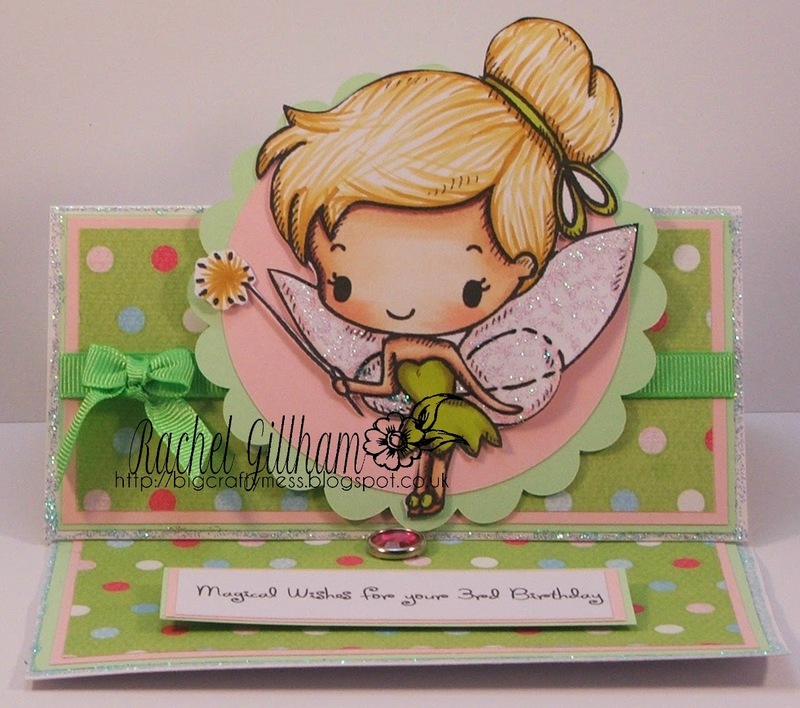 today’s project to show you is an easel card I have made for my daughters birthday in November, using one of this months releases ‘ fairy tinker’ , perfectly cute and adorable for a little girls third birthday I think you will agree! she ended up a little top heavy but still cute!